Win 1 Million 7-Eleven 7Rewards Points! What would you do with 1 million 7-Eleven 7Rewards points? 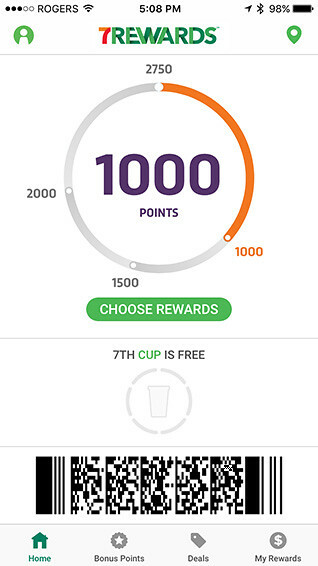 7-Eleven’s 7Rewards phone app (iPhone and Android) is easy to download and as soon as you sign up you have 1,000 free points waiting so you can redeem them for a free Slurpee, coffee or snack. When you’re out shopping at 7Eleven and ready to pay, use the app to scan your member barcode at check out to earn 7Rewards points for every dollar spent. 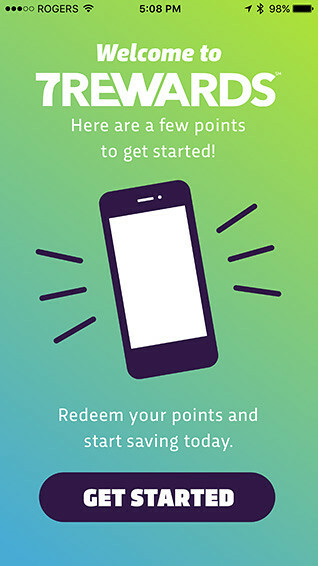 By scanning the card or app, you’ll also unlock bonus offers to help you get free food and drink rewards even faster. The app also contains a store locator to help you find the nearest 7-Eleven and heart your fave locations. And here’s another great reason to get that app on your phone: We’ve partnered with 7-Eleven Canada to offer one lucky Vancouverscape reader a chance to win 1 million 7Rewards points! 1 million points gets you free Slurpee for a year, or a sandwich a day for year, and more! For an added bonus entry, leave a comment below with your favourite 7-Eleven treat. We’ll draw a winner at random on Tuesday, February 27 at 5 pm. Contest is now closed. Congrats to Lori L. – you’re our winner! My favourite treat is a Coke Slurpee! My favourite treat from 7-11 is their chewy brownies, delicious! Thanks for the chance to win! Crispy Classic Chicken, Kona Blend Coffee, “Swamp Water” Slurpee, 5 cent candy, Oreo Hot Chocolate when you live close to 7-11 it’s can’t pick a favourite treat heaven! My favourite treat is their chicken wings. My favourite is the Blue Slurpee! I love Lime slurpees! Oh and chili cheese dogs! So very excited to have won your amazing contest, thank you very much, my 5 daughters are THRILLED!